I have been busy this year. the aisles of a craft store. I'm super excited that I found a new happy place with Consumer Crafts. or while sitting in the bleachers at swim team practice. You can find the catalog here. A few weeks ago I showed you how easy it was to shop at Consumer crafts. 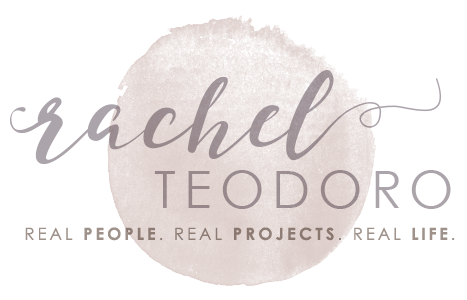 Today, I'm going to show you a few of the items that I ordered and how I got crafty with them. and everything else I needed from consumercrafts.com. 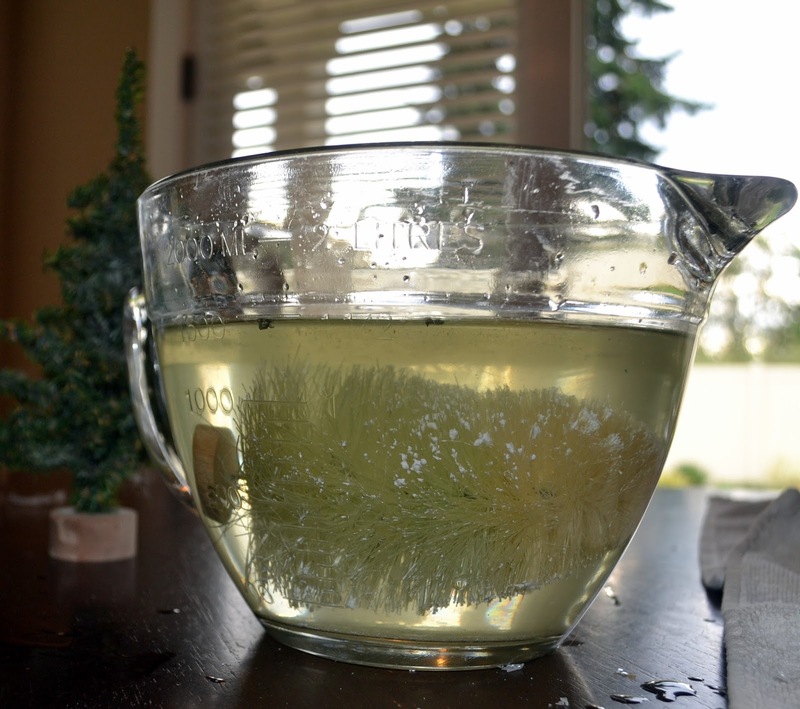 I start with a mix of half water and half bleach and let mu trees soak in the bleach water until they are at the desired color. The longer they stay in the water, the whiter they become. Let your trees air dry. 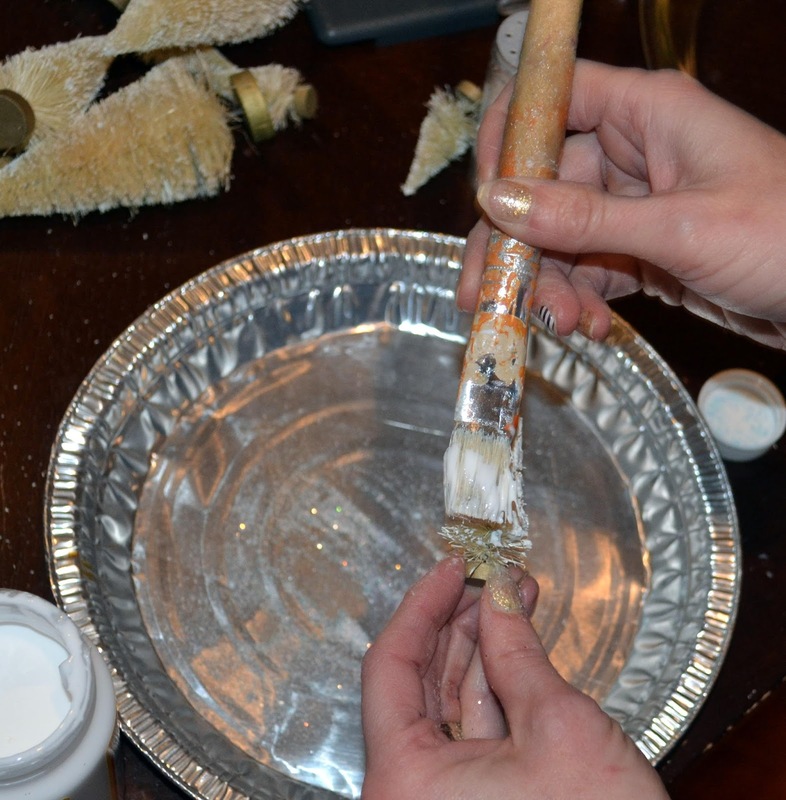 paint tacky glue in a thin coat onto the branches. 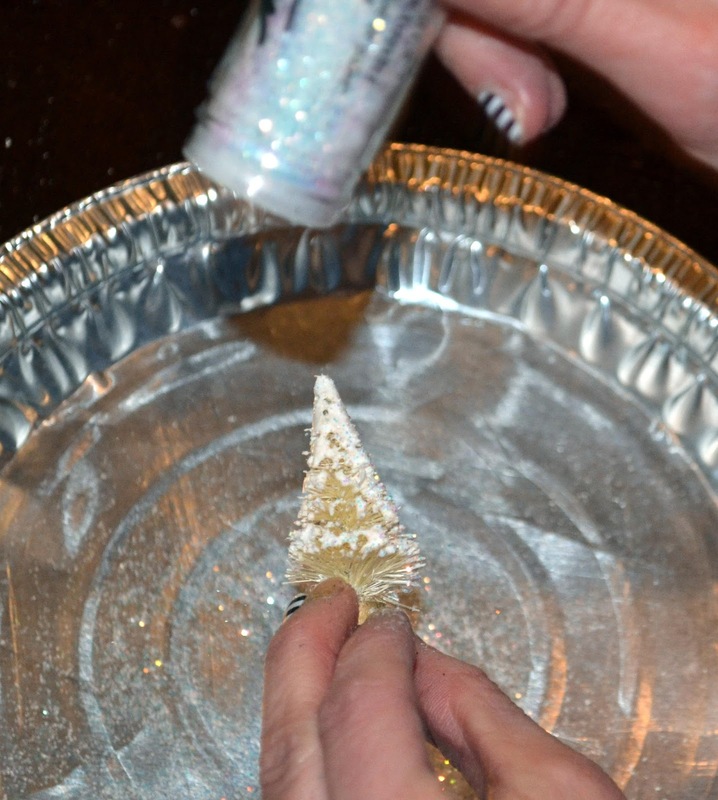 Sprinkle your glitter onto your trees. 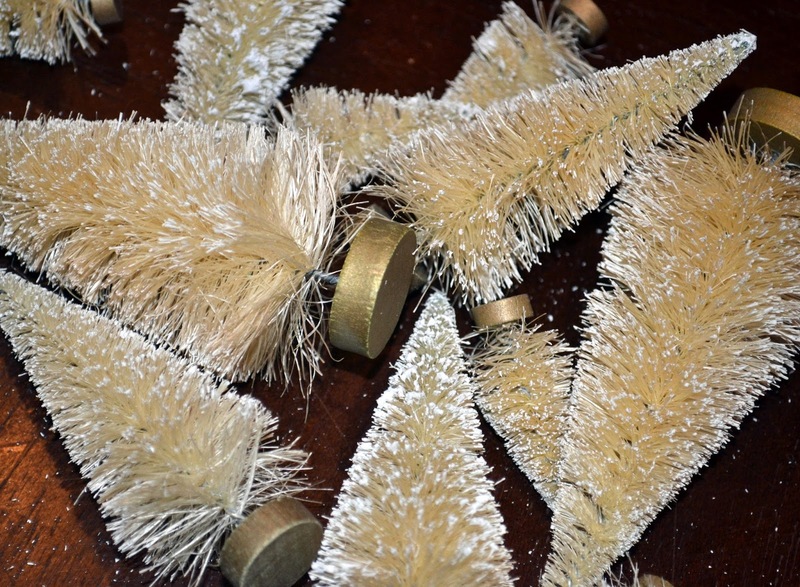 The fun part is embellishing your trees. 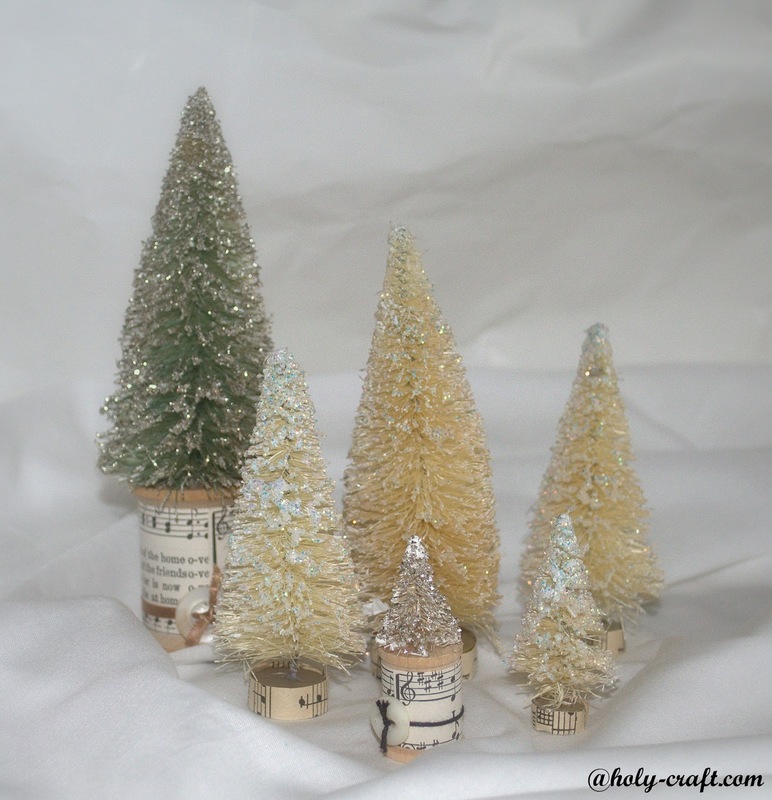 or skip the spool and glue on a small piece of sheet music to the bottom of the tree. 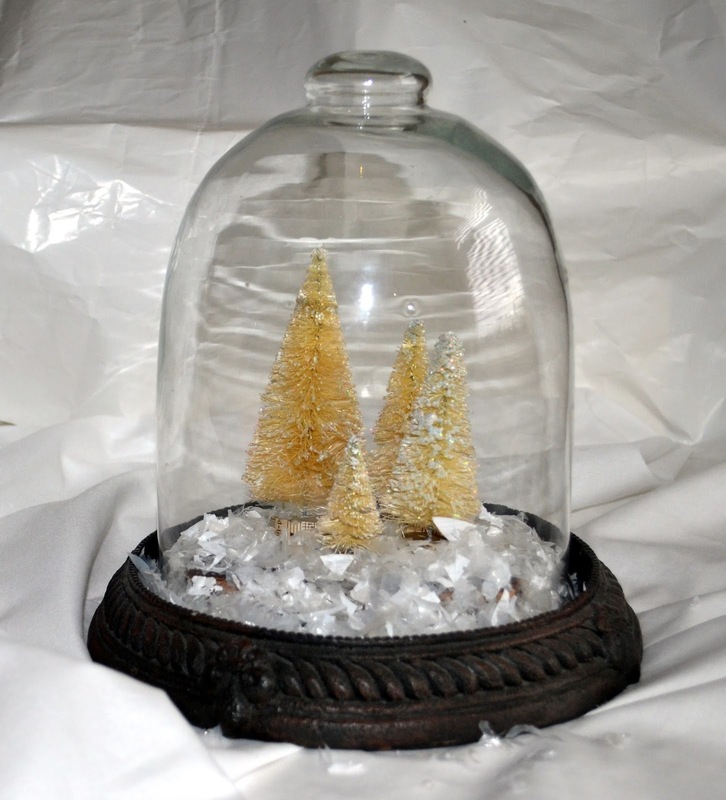 I placed my trees in an old cloche with some faux snow. 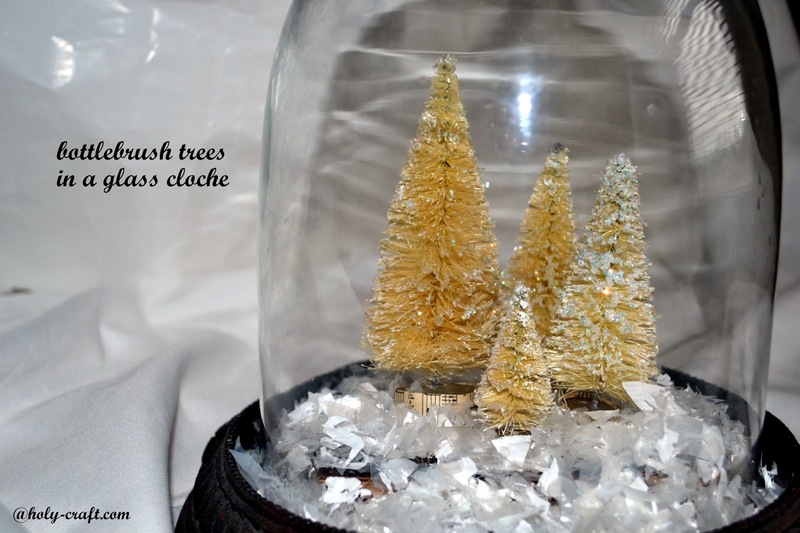 It's a fun quick project for this Christmas! Know what else is fun? 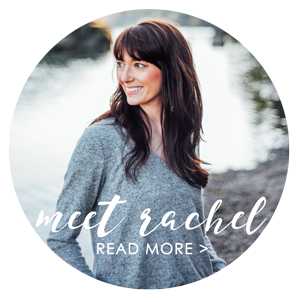 The chance to win a Cricut Expore machine. disclaimer: this is a sponsored post written by me. All opinions are 100% my own. I could not imagine bleaching the trees until I saw the results. Lovely. Something for the Disney vacation scrapbook I'm working on! Great giveaway! My daughters have turned our house into "Christmas craft central" so I think we'd like to make greeting cards first. We would use it to make ornaments first....then we would never look back.."just keep on cuttin"
My teenage daughter would go crazy with this machine. I would love to use this for my classroom!!! I would use the Cricut to make cards. I have a laundry list of projects i would use the Cricut for but my immediate need is to make a banner for my son's upcoming Air Force graduation. The only silver cleaner you will need!